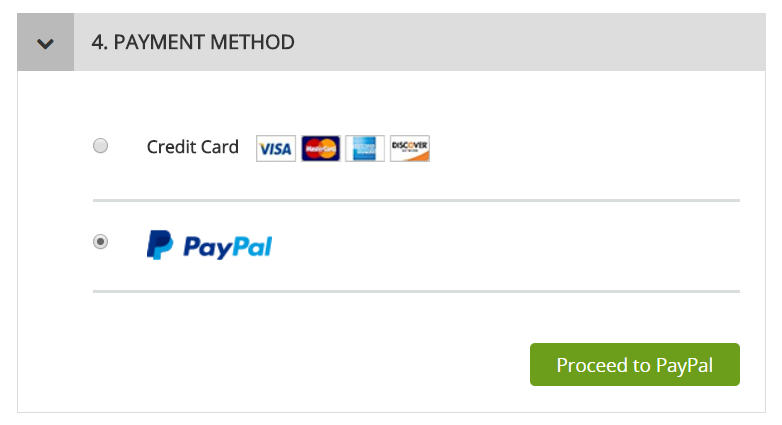 You can pay via PayPal by selecting the PayPal option during the checkout process. Once on the checkout page, after entering your shipping address and method, you can pick your preferred payment method. If you choose the PayPal option, you will then be sent to the PayPal site. Input your PayPal credentials and proceed with payment. 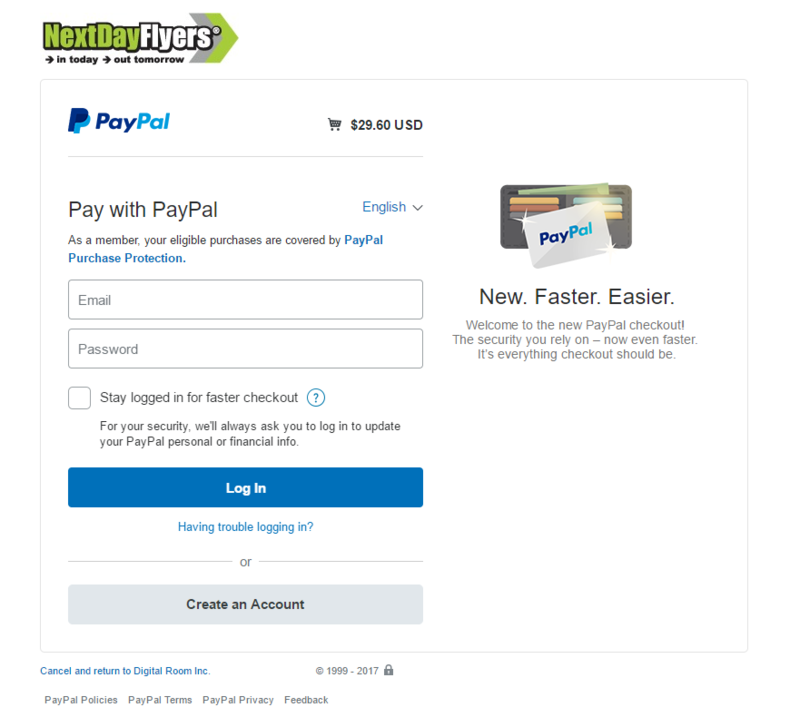 You’ll then be returned to the NextDayFlyers site to finish your order.